Double Trigger Hooks are a gear bag essential. They quickly bind together wrist restraints, ankle restraints, arm binders, leg binders, collars… you name it! These nickel double ended trigger hooks will also attach cuffs to furniture or to other restraints, even ones being worn by another person. Simply pull down the trigger with your thumb and hook your hook onto any D-Ring you desire to make a quick and resilient restraint system. Be sure to stock up as you’ll find these double sided snap hooks are great to have on hand. 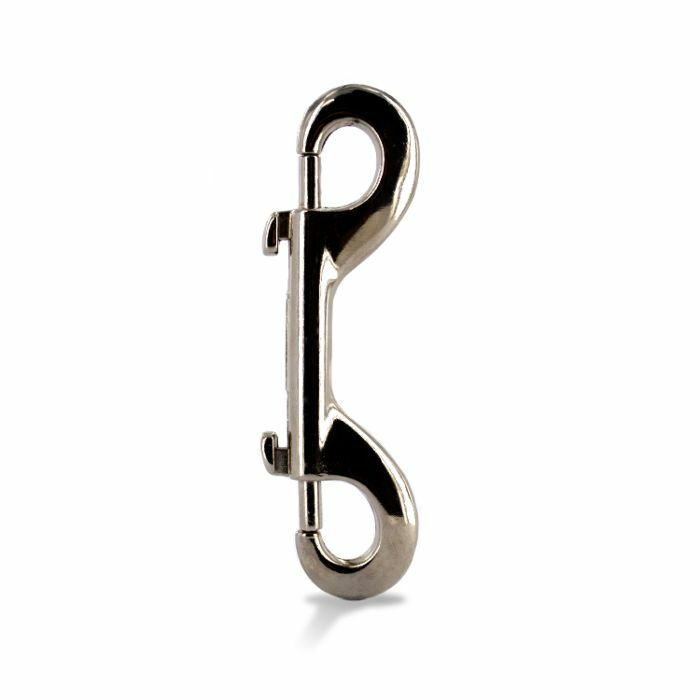 Note: The UberKinky Double Ended Trigger Hooks are made from nickel which in some people can cause an allergic reaction.